Sealed invitations to screenings of Disney films. 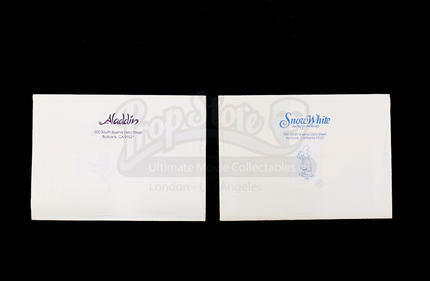 The sealed invitations are for screenings of Disney's Aladdin as well as Snow White and the Seven Dwarves. 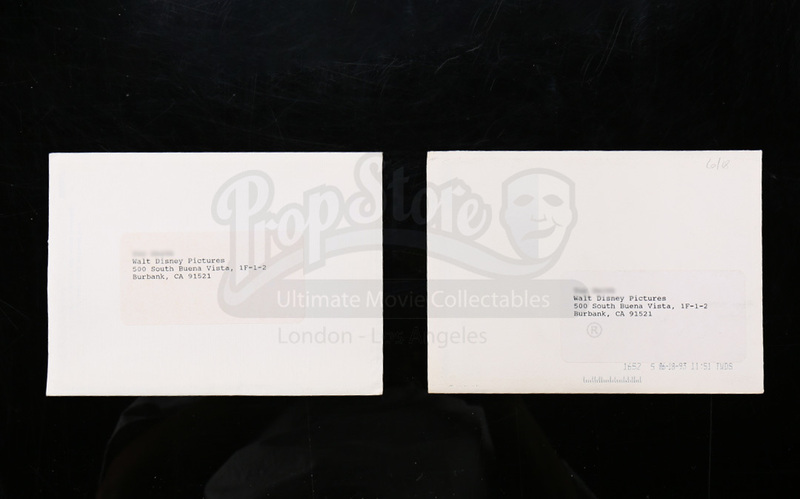 Both invitations feature the titles of each film printed along the back of each envelope. 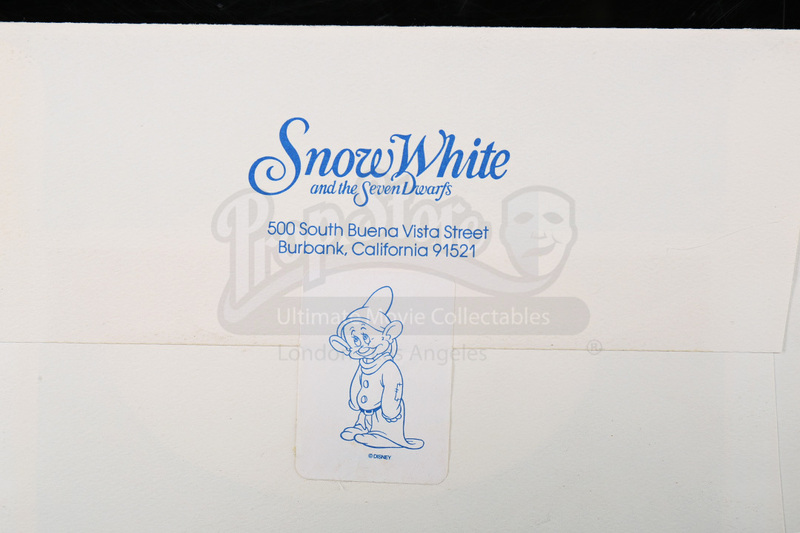 The Snow White invitation also includes a sticker seal of one of the film's beloved dwarves. 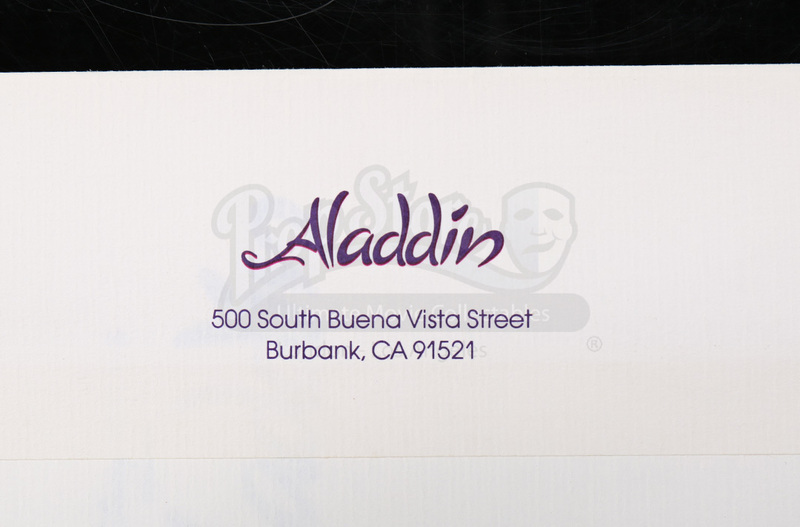 Each invitation features the address for Walt Disney Studios. 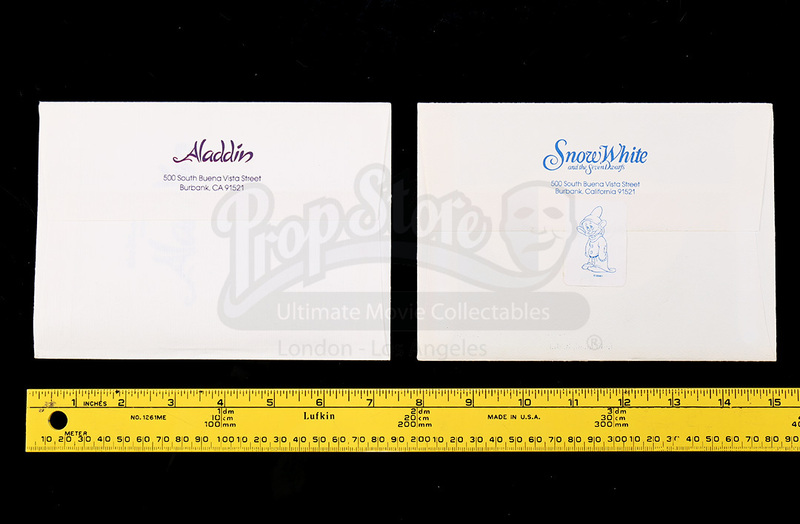 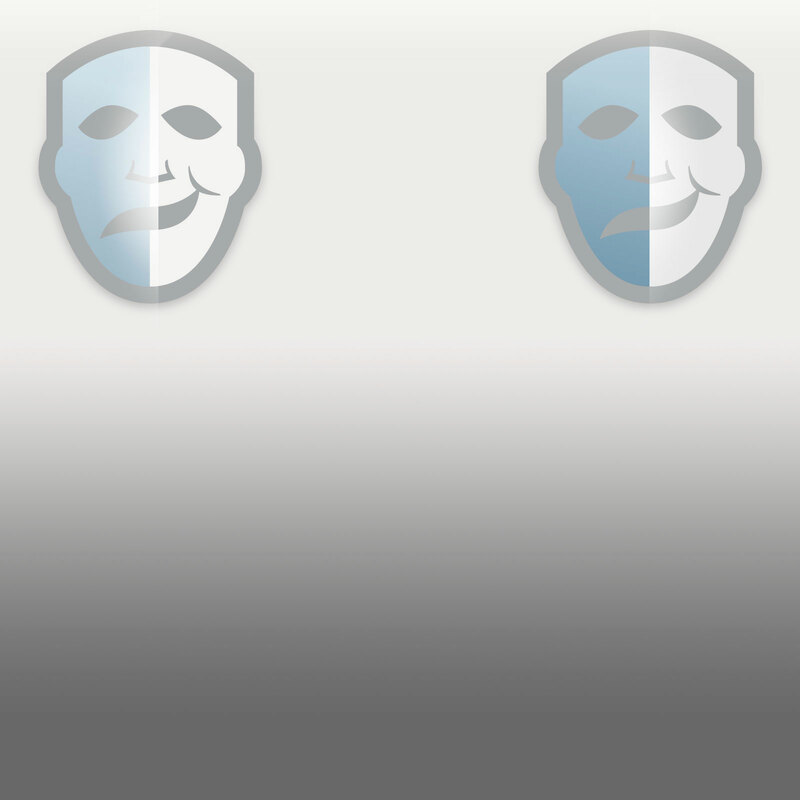 The set shows minimal signs of wear from age and remains in overall very good condition.